Which ecosystems are leading, and in what areas? "...should be required reading for any entrepreneur"
Why did the Wall Street Journal say that Startup Genome research “should be required reading”? 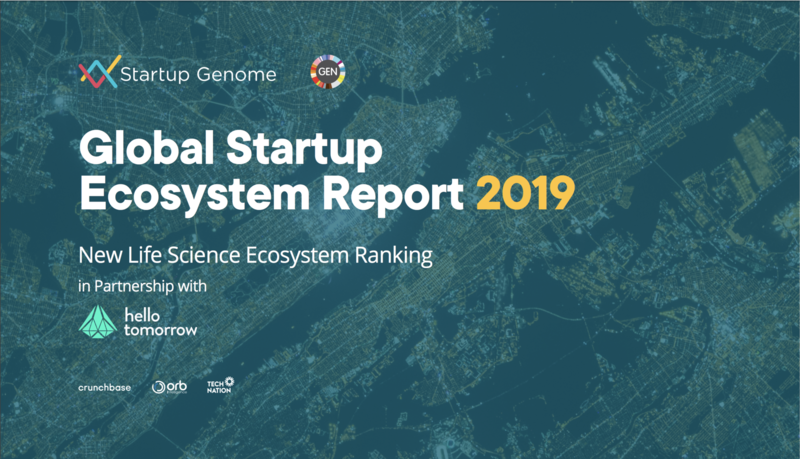 Because the annual Global Startup Ecosystem Report (GSER) is the world’s most widely-read publication on startup ecosystems. Because Startup Genome’s research provides insight and guidance to public and private leaders in dozens of countries and cities — from Astana to Barcelona to New York City — about how to cultivate vibrant startup ecosystems. And, because #GSER2019 will be our most awesome yet — and it’s nearly here! Our mission is to help more startups succeed in more places. That requires more thriving ecosystems where startups can grow and scale. The GSER gives voice to entrepreneurs around the world and provides ecosystems everywhere a platform to tell their story. The data and analysis helps public and private leaders better support their startup ecosystems. The GSER is the world’s most comprehensive research on startups, based on survey data from thousands of startup founders and research on millions of companies. It’s also your guide to the future: What sub-sectors offer the best opportunities? Where should you be investing next? What ecosystem offers the best environment for your startup? This year — because there’s so much new content — we’re releasing #GSER2019 as a series, maximizing visibility for our Members and reaching founders, investors, policymakers, and others across the world. Stay in touch and follow our progress at the following events. For the first time, we’ve done a separate analysis of startup ecosystems in Life Sciences, in partnership with Hello Tomorrow. This is the first-ever Life Sciences ecosystems rankings for startups — by Startup Genome or anyone in the field. We’ll release a sneak peek of the top 10 Life Sciences ecosystems at the Hello Tomorrow Global Summit in Paris. Make sure to say hello to our Founder and CEO JF Gauthier, our COO Marc Penzel, and our Director of Research Arnobio Morelix. Every year, in a different location, the Global Entrepreneurship Congress (GEC) brings together thousands of entrepreneurs, ecosystem builders, startup support programs and organizations, investors, and policymakers from over 170 countries. Organized by our partner, the Global Entrepreneurship Network (GEN), this year’s GEC takes place in Bahrain (which is also one of Startup Genome’s Members). This year, the GEC will focus on ecosystem development, with a spotlight on high-performance ecosystems and inclusive economies. Startup Genome will join sessions on “Entrepreneurial Cities” and “Policy Lessons Learned” among others. And, at the GEC, we’ll be releasing findings from our initial global policy audit. We’re currently collecting information on entrepreneurial policies across dozens of countries and regions, with the aim of helping to inform the design and implementation of public policy. If you are attending the GEC, this would be a great opportunity to meet our President & Chief Policy Officer Dane Stangler. We also hope to see you at The Next Web (TNW) Conference in Amsterdam, which brings together thousands of “digital minds to share ideas and do business.” We’re excited to be releasing the main body of #GSER2019 at TNW—covering over 45 ecosystems around the world, this will be the best GSER yet. Startup Genome Members Meeting: we bring key public and private leaders from our Member ecosystems together to facilitate connections and peer-learning sessions. StartupCity Summit: focused on the role of local governments in flourishing tech ecosystems, this one-day gathering brings together leaders from 150 cities. This is in partnership with StartupAmsterdam and TNW, and invite only. Send us a note to get in! The Assembly: top leaders in business and government discuss how technology is shaping economic development. This year’s theme is the Privacy Paradox. Most of our team will be there. Drop us a message if you'd like to meet us! We couldn’t do #GSER2019 without our Members, our Partners, and the participation of thousands of busy founders and executives. Join us in sharing the fruit of our collective labor and help more places build vibrant startup ecosystems. Sign up and stay in touch to receive news, articles and updates on #GSER2019 releases.